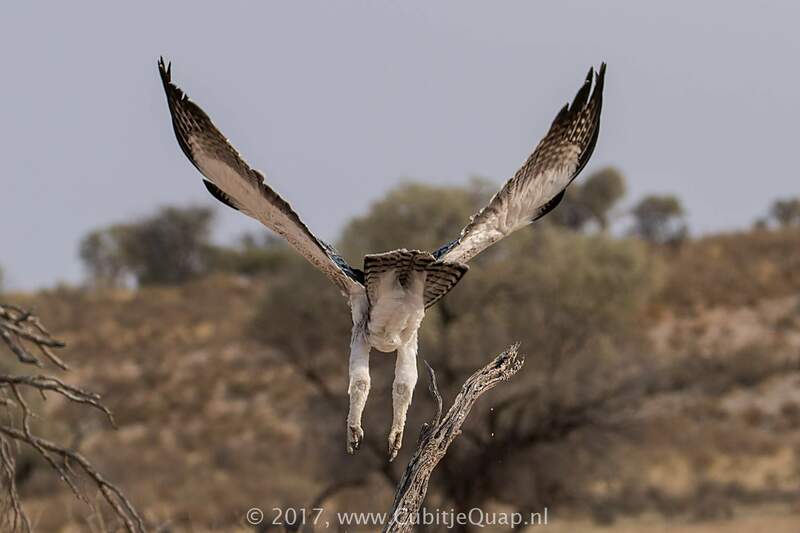 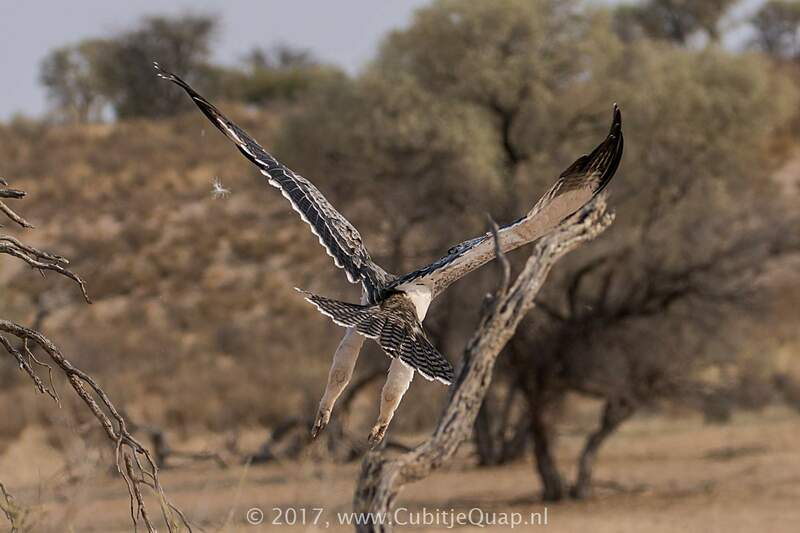 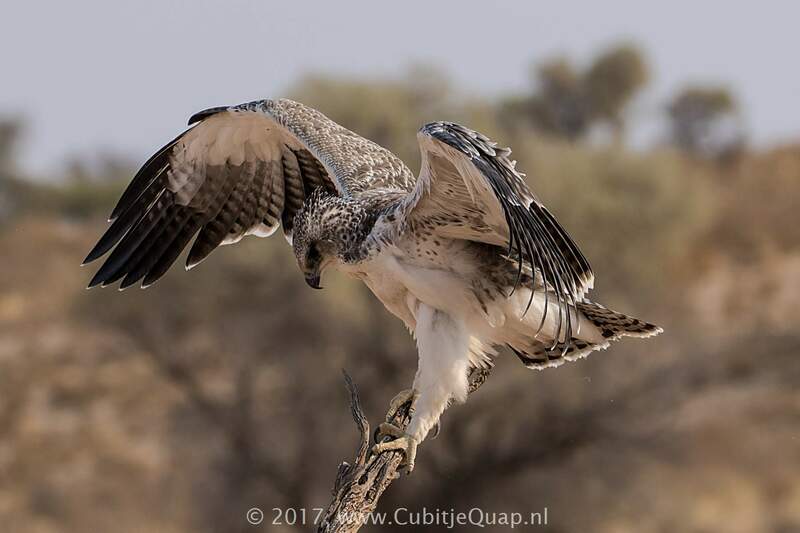 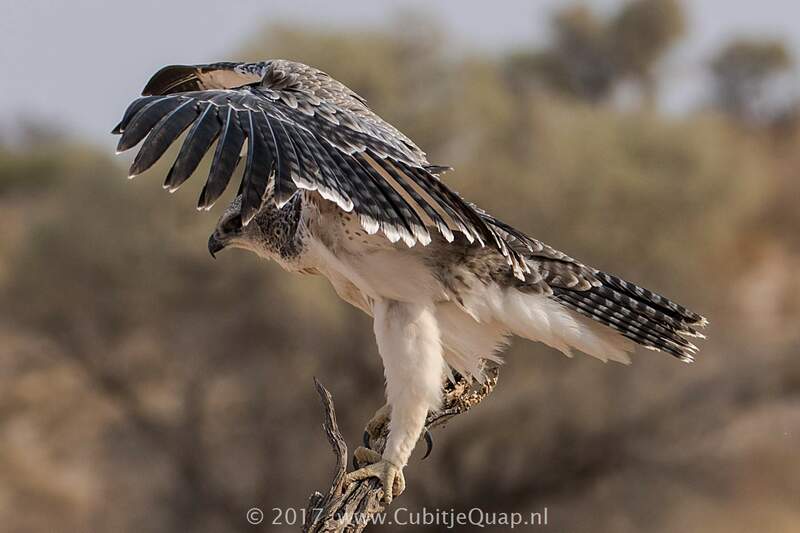 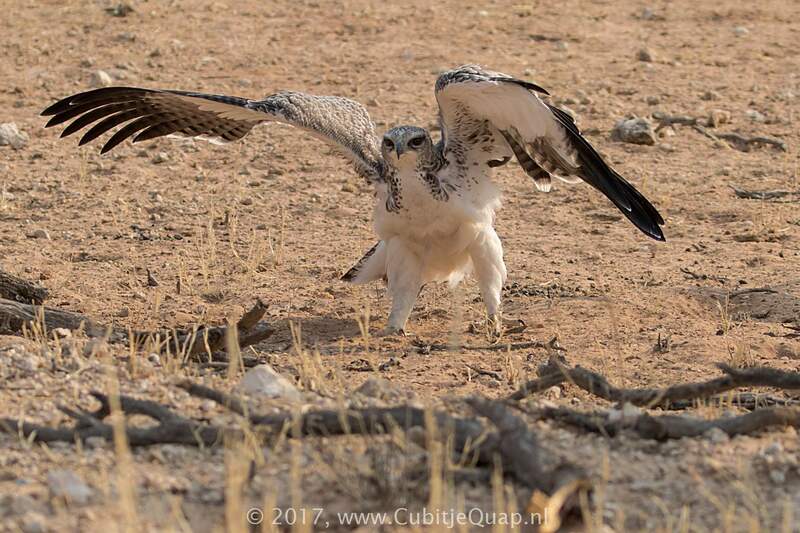 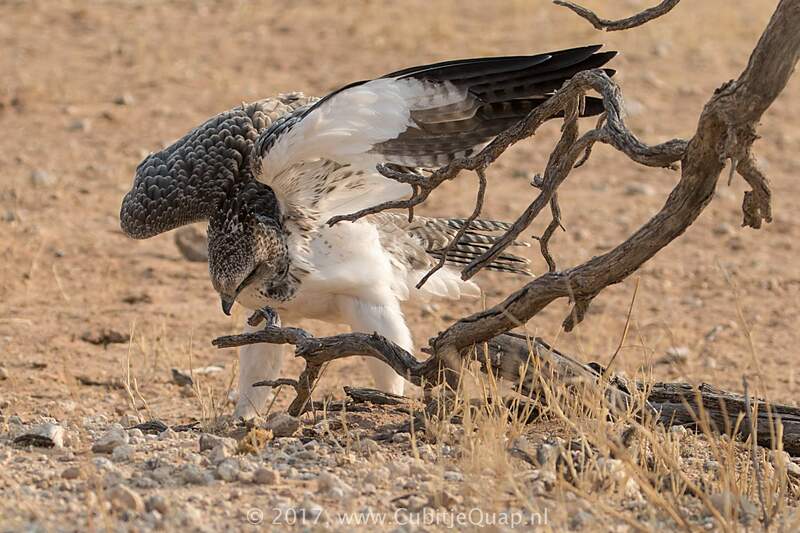 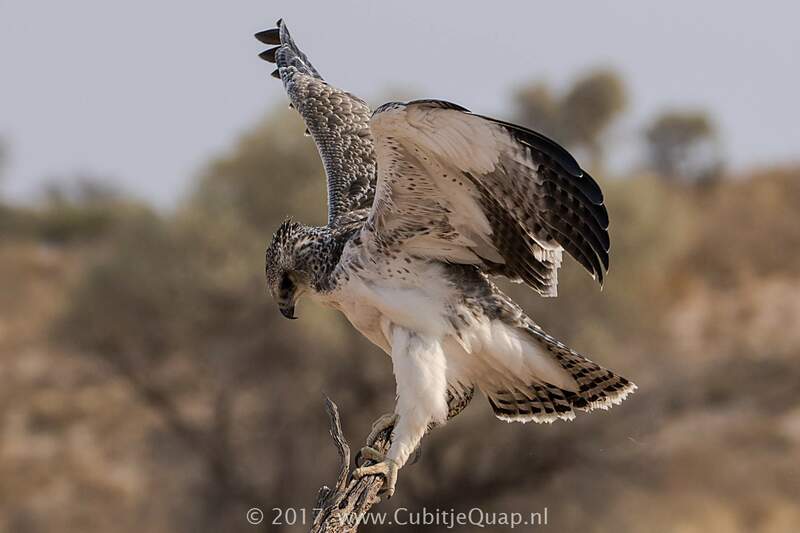 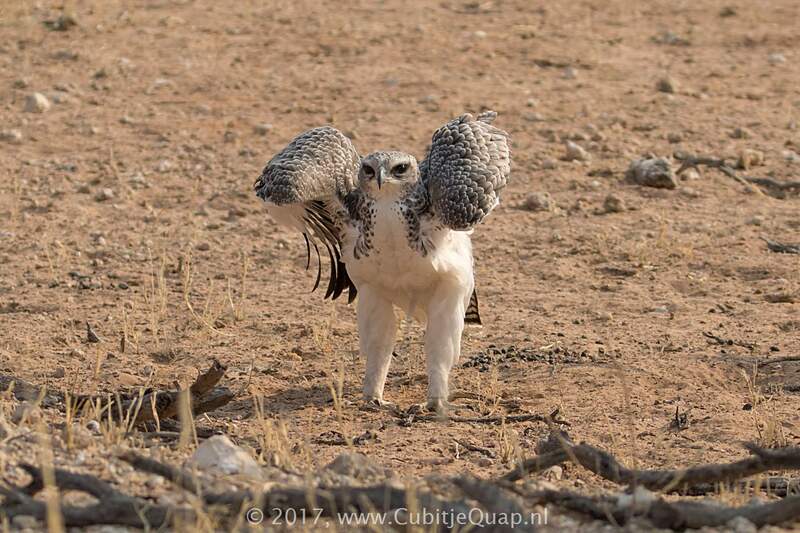 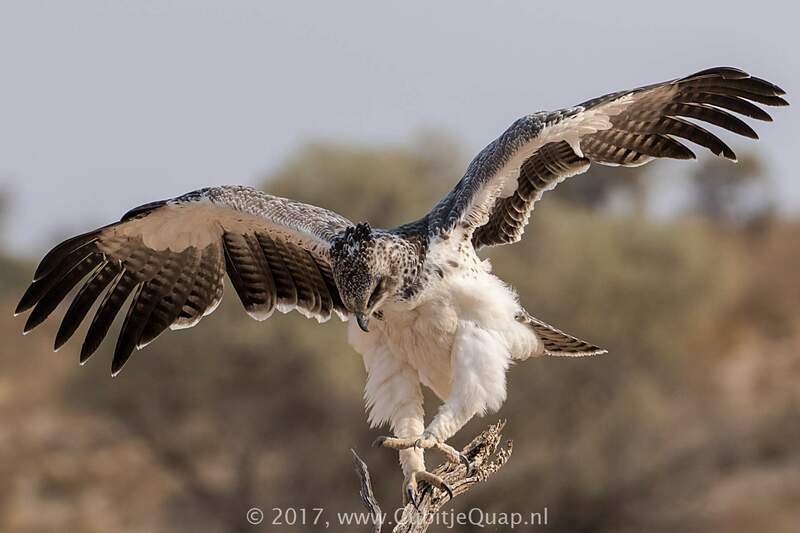 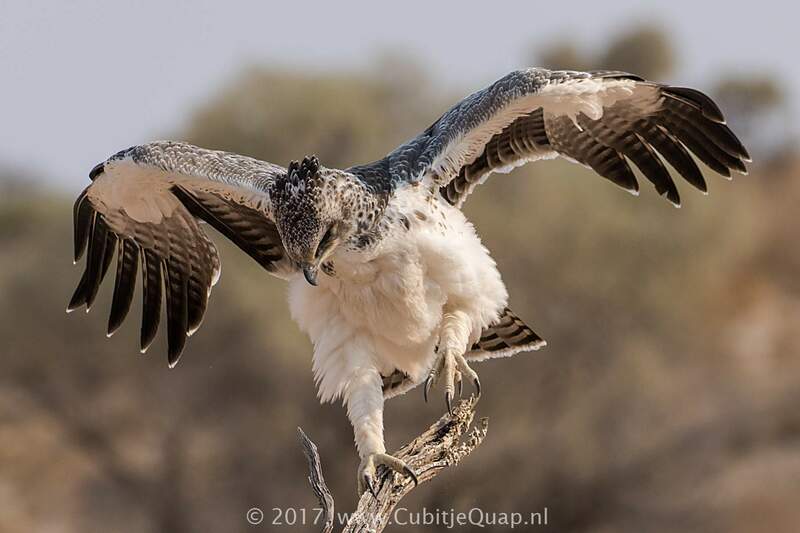 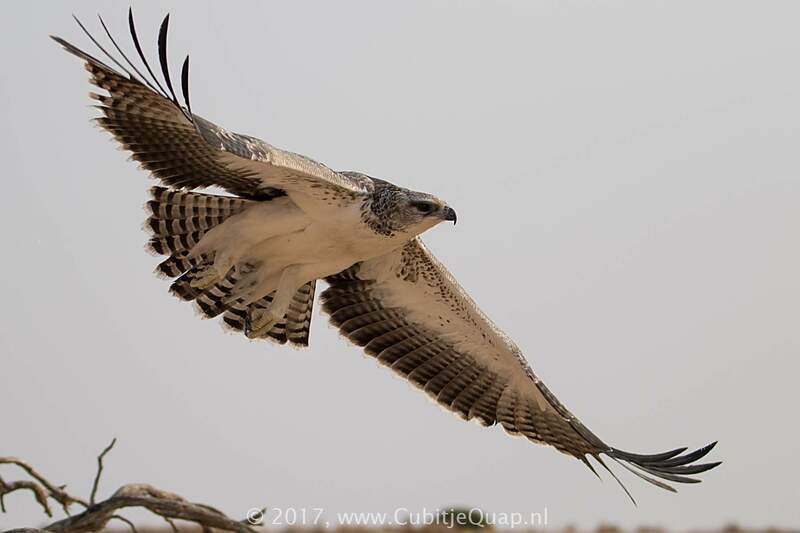 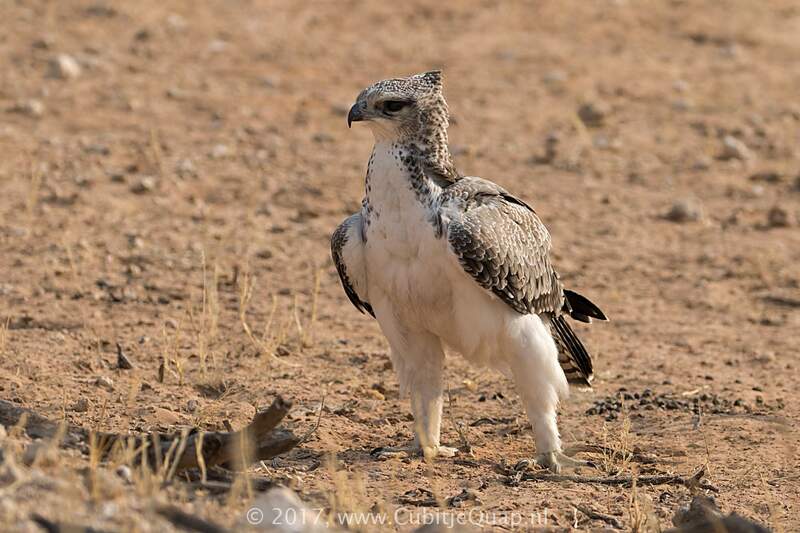 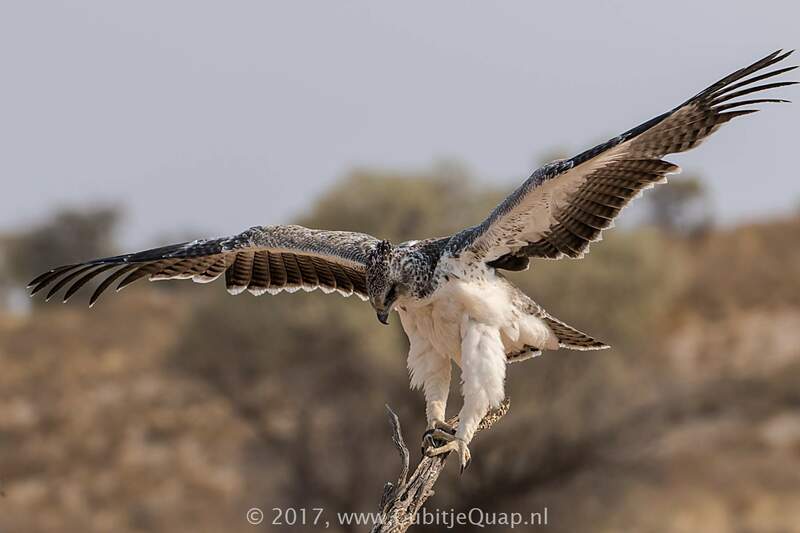 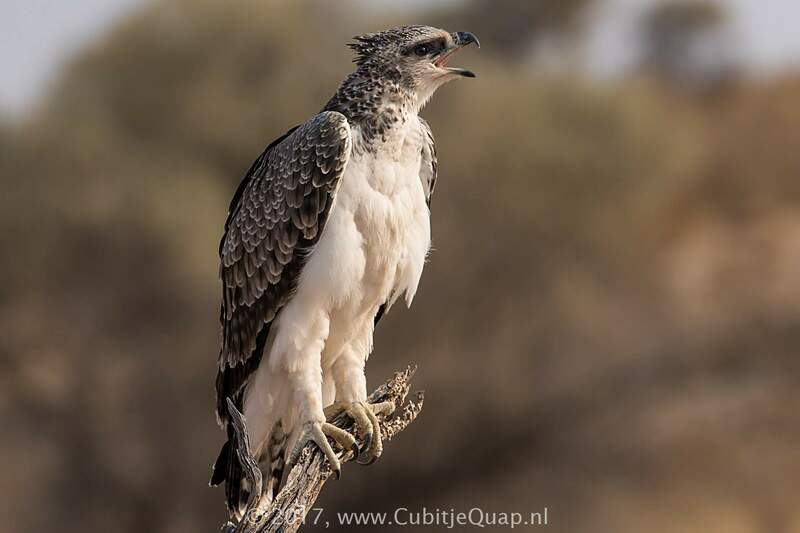 Martial eagle pairs are monogamous. 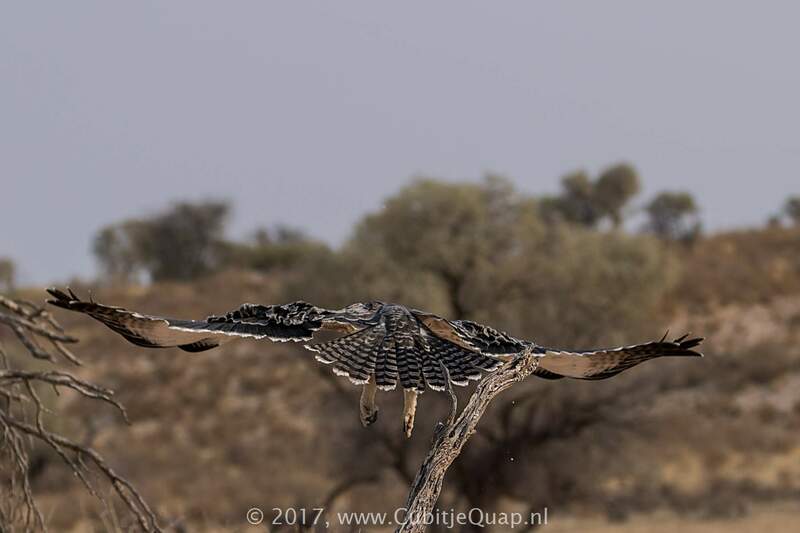 They construct large platforms of sticks with a central indent for nesting. 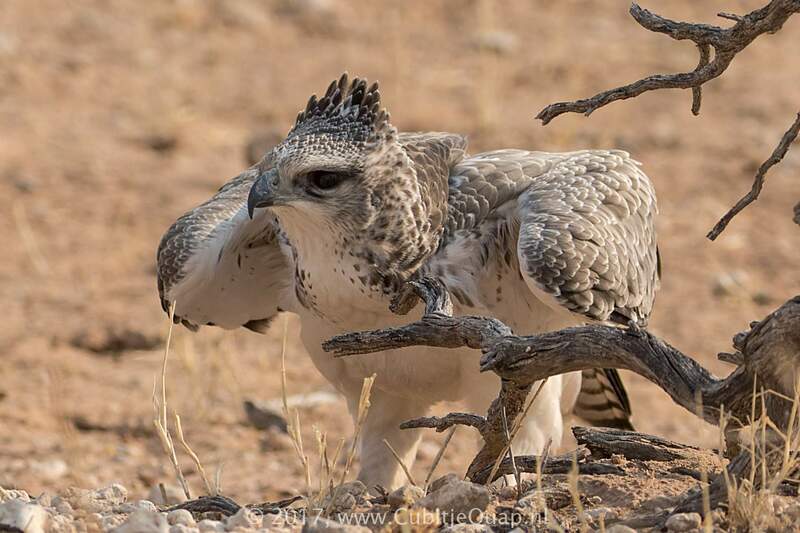 Sometimes building more than one nest before choosing a breeding site. 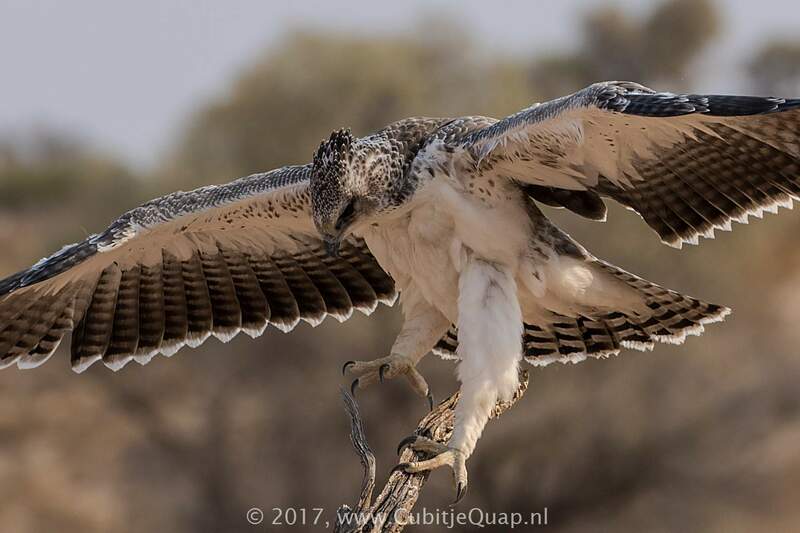 They lay only one egg and incubation takes 48 - 53 days. 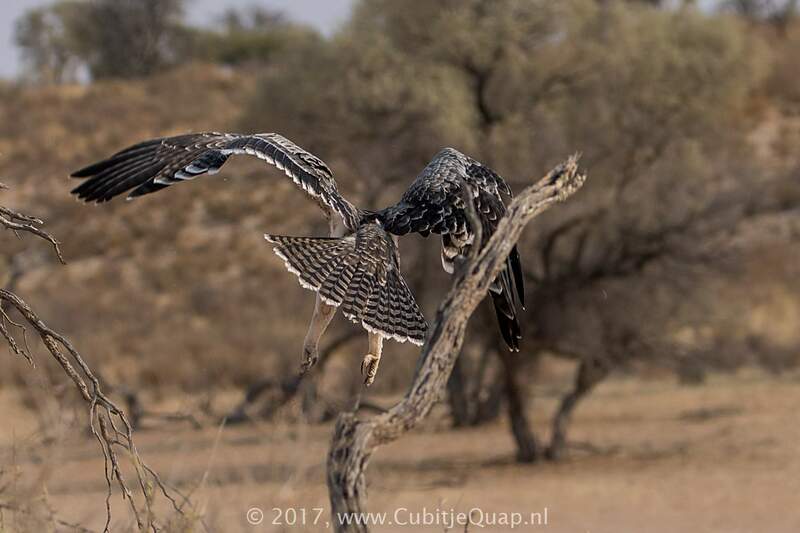 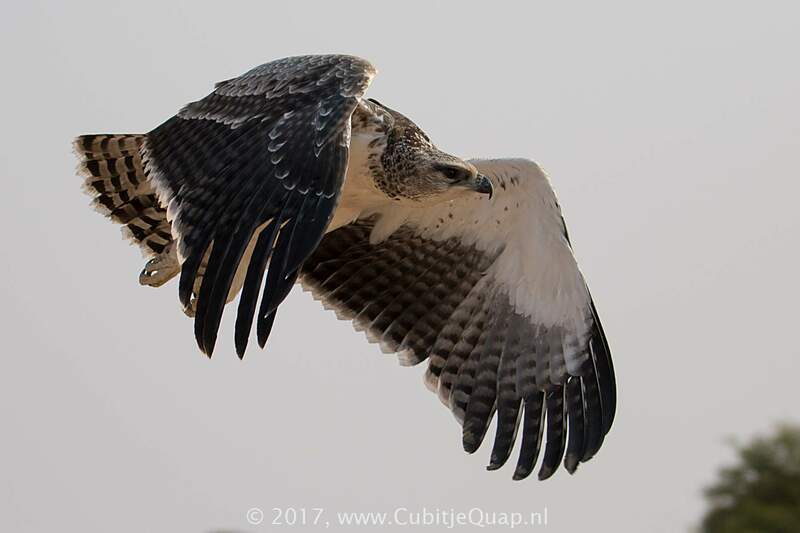 The chick can fly when it is three months old, but it remains in the nesting area for 3 - 8 more months as it still depends on its parents for food. 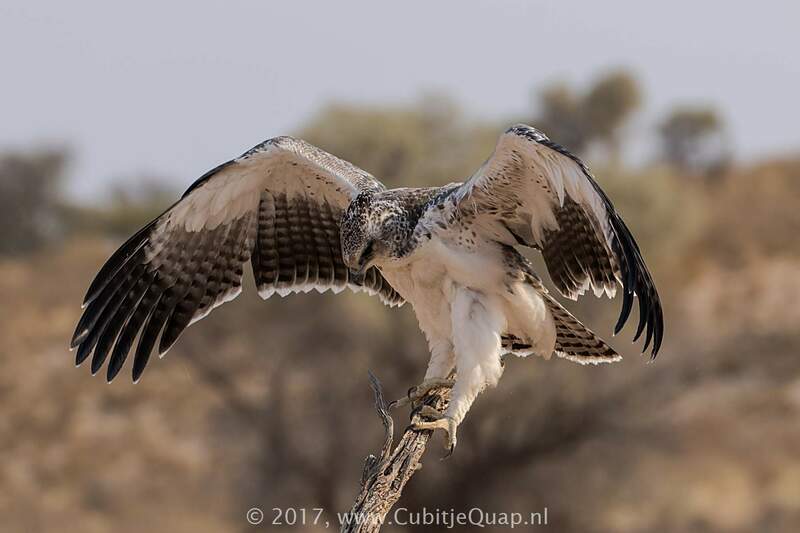 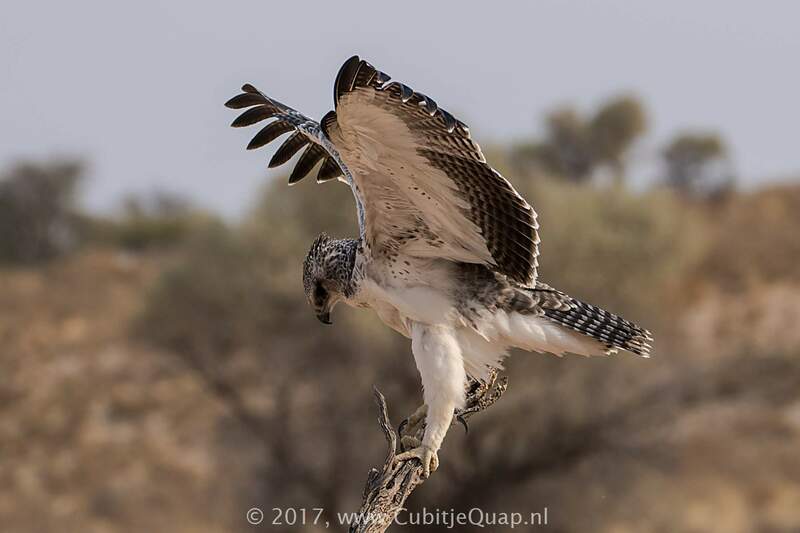 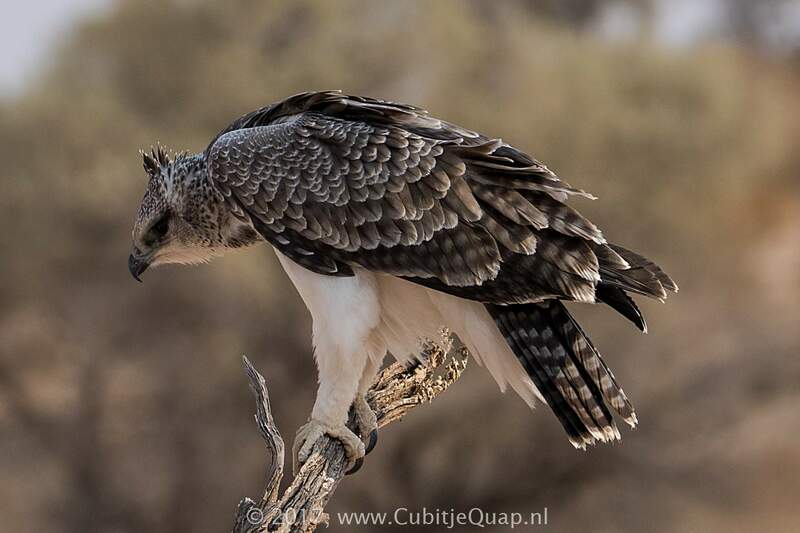 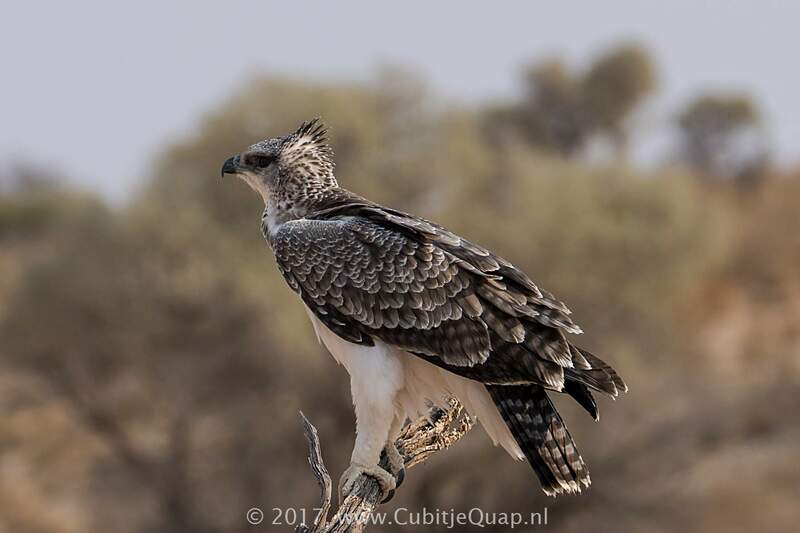 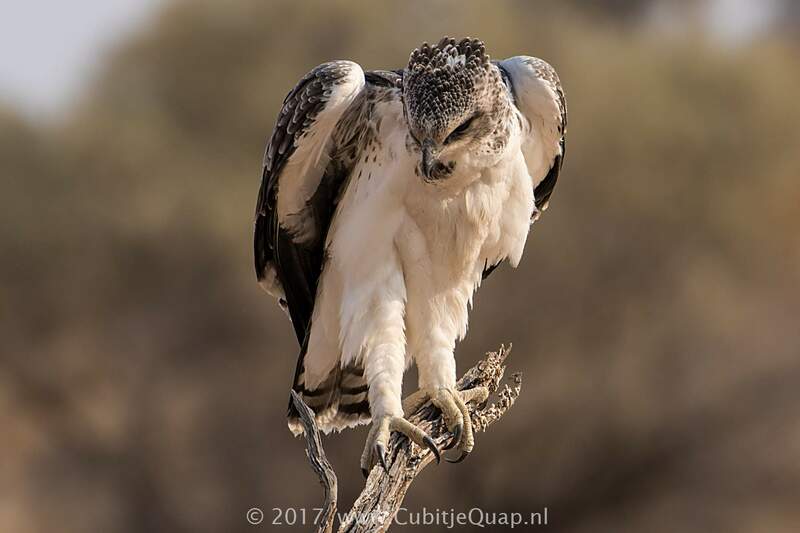 This particular Martial eagle was posing nicely for us very close the the Auob river road.